Let me continue this simplistic design streak by showing you an awesome logo tee that I can’t get out of my head. 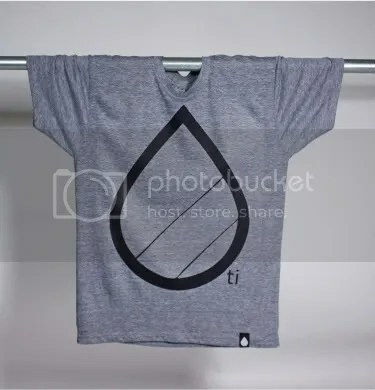 “Big Drop” is one of the new graphic t-shirts found at Thriving Ink that I was surprised to see. Not only is it super simple, but I seriously think that it has magical powers that continuously draw me in. I guess you could call me crazy, but maybe you feel the same way too! You can purchase “Big Drop” at Thriving Ink for $19.95. It’s printed on American Apparel Tri-Blend, meaning that it will be one insanely soft shirt that your torso will thank you for. There’s a seafoam colorway as well, if you prefer more color in your life. Oh and while you’re at Thriving Ink’s shop, why don’t you check out the $15 Grab Bag deal that they have? For just $15, you can get 3 shirts from their previous line. Sounds like a pretty sweet deal to me, no? $5 Grab Bags Shirts at Teefury! 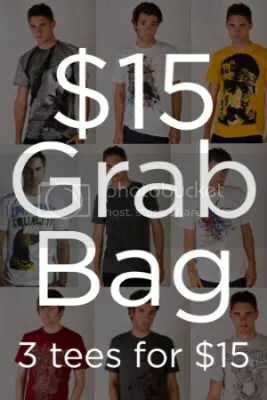 Today is a special day because Teefury is selling $5 grab bag tees! 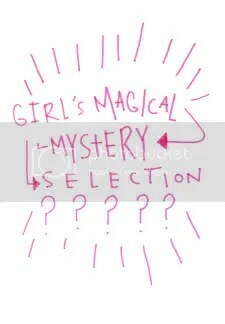 That’s right– a super secret mystery tee for the low, low price of five bucks! I can’t get enough of the mystery behind grab bag shirts, and there have been several sweet designs since the last deal, so I might just have to pick up a tee or two. Will you be getting any grab bag shirts this time around? What are you hoping to get? If you love mystery tees, then you might be happy to hear that Johnny Cupcakes now has mystery items in the shop! The Magical Mystery Selection is priced at $50, and you’re guaranteed to receive at least one major item and a few accessories or promotional items. 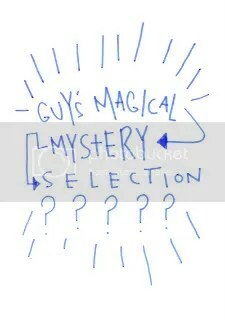 This is the list of things that you could receive in your mystery package, according to the site: Random leftover tour shirts, hats, ties, pins, poster; Previous online exclusives; Previous SITCM t-shirts; Wallets; Collaboration T-Shirts; Gloves and hats; Movie poster; Glow keychain; Sample t-shirts; Old event flyers & posters. The product page even says that if you’re lucky, they’ll toss in a couple of tees in your package! This $50 deal is available for both guys and girls. If you’re thinking about picking up a mystery package, I’d suggest doing it sooner than later, as I have a hunch that sizes will run out quickly. Head over to the Johnny Cupcakes shop for more information about this great deal! 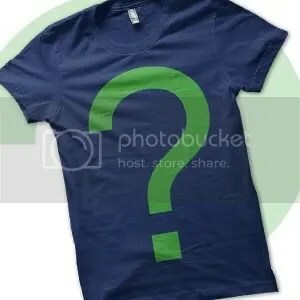 $7 Super Duper Mystery Tees at Tilteed! Do you like surprises? Better yet, do you like awesome surprises? If so, then head on over to Tilteed to pick up some mystery tees before this fantastic deal disappears! The shirts include catalog pieces, as well as rare Tilteed Limited prints. Each shirt is just $7 and you’ll have a shot at getting designs by artists like Wotto, Greg Abbott, and againstbound. There’s no limit on how many super duper mystery tees you can purchase, so you can pick up some extras as future gifts too! Now I’m not going to lie and say that I’ve gotten a Teefury grab bag before because I haven’t. Truth is, I’ve had horrible luck with mystery tees and much prefer seeing what I’m buying. However, every time there are $5 grab bag tees at Teefury, I’m still tempted to live a little and go for it. Perhaps I will this time! The grab bag will include designs that printed at Teefury after the last $5 deal on November 30, 2009. Check out this link to see the potential shirts: clicky clicky. This deal will only last 24 hours, so be sure to pick up some $5 tees at Teefury today if you’re as fascinated by the mystery as I am! Hello! I hope that everyone had a fantastic Thanksgiving and some fun shopping on Black Friday. There were so many deals that I couldn’t even keep up! There are some companies doing deals this Cyber Monday, and one of them is Teefury. Today, you can pick up some $5 mystery tees from the Teefury catalog. This includes all tees since the last grab bag deal they had in September, and you might even get a Design by Humans Perfect Tee in the mix! That has never happened before, so why not give it a try and see what cool tees you could get? A few weeks ago, I discovered Hipstery, a European company that sells mystery tees. Companies such as Teefury, Shirt.Woot, and Uneetee offer mystery tees from time to time, but no other company that I know of only sells mystery tees from a variety of sources. I had the pleasure of speaking to Budge Becher of Hipstery, and here is the interview to help you get to know Hipstery better! 1. When did your special team give birth to Hipstery and where did the name come from? Nothing but a few old pipes, broken porcelain, some human remains. That’s it. While we’re not the quickest to spot tomfoolery, it became clear to us that our gullibility was being used to get free garden labour for Old Swampy. What followed was a regrettable incident involving Old Swampy’s house burning down and us hastily enrolling in the French foreign legion. The rest is history, err I mean hipstery. 2. Where do you get the shirts for Hipstery? Oh, from everywhere, we must have trillions of them (laughs). We’ve been in the t-shirt business a long time (over 10 years combined) so we can pick them up and negotiate with the most awesomest shirt shops in the internets and we’re happy to add more. So if you own a T-Shirt label, just let us know. Since our platform is all about serendipity, we are not competition, but an additional promotional opportunity for your artistic genius. 3. Since the shirts in the Hipstery vault are no longer sold by their original vendors, how do you know what tees to invest in for future sales? Well again, there are our years of experience. Also, more and more stores use limited quantities as an activation tool for customers. 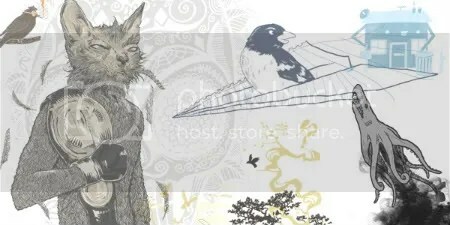 Look at the trend for one shirt one day (Teefury, RIPT, etc) or no/rare reprint limited editions (laFraise and many smaller sites — just take a browse around the different Big Cartel stores). And we have the guts to buy some really strange shirts and keep them hidden until the T-Shirt community recognizes their ingenuity. 4. There are currently six questions in your t-shirt selection survey. Do you plan on coming up with more questions to gauge more specific personal preferences? For example, what if many customers have a strong hatred of skull tees? Actually we don’t have any skull tees. Our service is well, bored of skulls and stars and hearts on T-Shirts. But besides that: Yes, we have a never-ending refinement of our survey in the upcoming weeks and a lot more of questions. While we believe in our system, we learned a lot in the last week and try to balance guiding us and entertaining our patrons. 5. 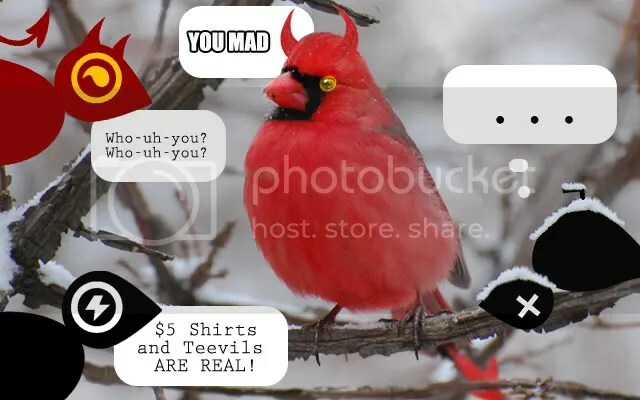 Stores such as Threadless and Design By Humans have had sales in the past where tees were as low as $5. What do you have to say in response to customers who are wary of paying €16 for a mystery tee that they could have purchased for much less at the original store? This is an important question, so if you don’t mind I’d like to bore you to tears with an answer that justifies the question. You are right – people who are absolutely into T-Shirt Design will probably find great deals and cheaper occasions to go t-shirt shopping now and then. That’s fine – we are about more than that. As a unique service our goal is to give our customers an added service: less hassle with hunting for the right store, prints and colors, no more “too many options” and digging for the right shirt, just to figure out it’s sold out when you are about to order, less pressure when the next sale is up, no customs fees, no paying more for shipping and for the item, no 3 week delivery times (you won’t know some of these problems as you not experienced the frustration of shipping from the US to Europe where we are based). At the Hipstery every shirt is always 16 EUR, and all you need to know about the person you order is the size and a little about the taste. We are about much more than the shirt, which our customers will know because they’ve seen the full experience. Ordering is just a small part of the adventure. 6. What are five words that best describe Hipstery? Suspense, Apprehense, Tense, Dense, Cauliflower. 7. If you would like to include anything else, please feel free to do so! Thanks very much for taking an interest in our fashion experience. The Hipstery salutes you. Now that you’re more familiar with Hipstery, head on over to the store to see what it’s all about. You can never be sure what tee(s) you’ll receive, so take a chance and have some fun! Oh, and keep an eye out for a hot new contest sponsored by Hipstery next week!